In my photography career few subjects have captured my attention and efforts as profoundly as the aurora borealis have. 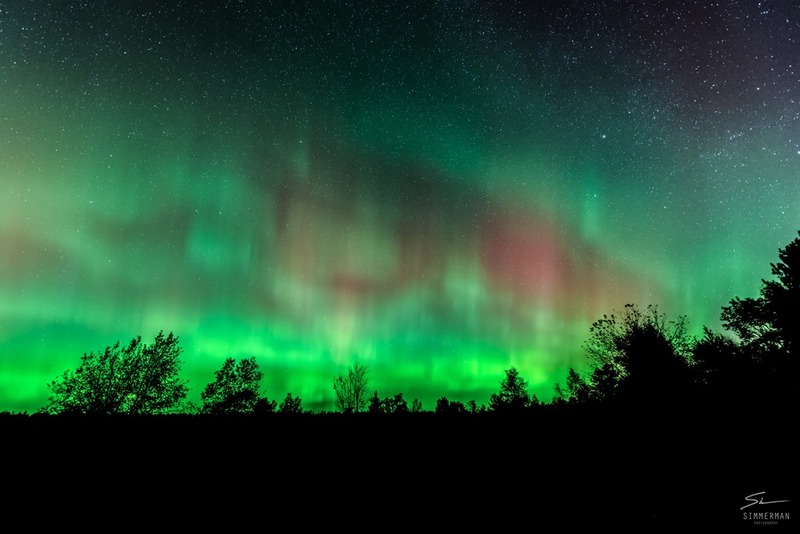 Also known as the Northern Lights, these surreal displays of color and shape punctuate the night sky and for those lucky enough to see them, the descriptions given often include the word indescribable somewhere in the conversation. Truly, they must be seen to be believed. The easiest way to see them, of course, is to do a simple internet search and have a look at the millions, perhaps billions of photographs, videos, and time-lapse captures of the phenomena. Many photographers specialize not only in photographing the aurora but leading workshops and expeditions to see them as well. However, as with all things worth experiencing, there is a bit of work involved. One of the most frequent questions I am asked about the Northern Lights is “When will they be out?” and, of course, the answer is always the same—the lights are happening all the time. The aurora are active twenty four hours a day, seven days a week, three hundred and sixty five days a year and are the result, for the most part, of a constantly streaming flow of charged particles kindly donated by the nearest star, the sun. 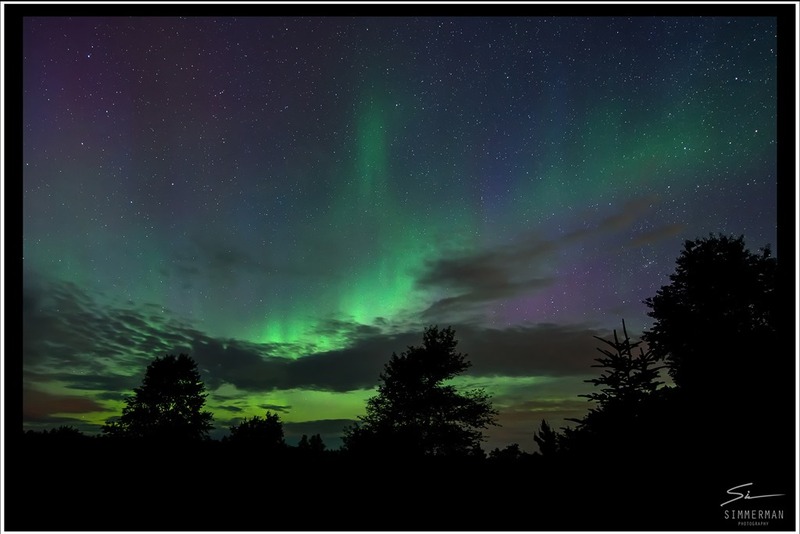 These constant lights exist in a band known as the auroral zone which is 3-6 degrees in latitudinal extent at all longitudes and 10-20 degrees in all latitudes away from the magnetic pole as defined by the axis of the Earth’s magnetic dipole. In other words, a very thin circular-ish band that exists at the polar regions of the planet. All the time. On occasion, an event known as a geomagnetic storm will have the effect of turning a viewing of the lights from a trip to frigid hell into a relatively comfortable and memorable experience as the auroral oval expands and becomes visible at lower latitudes, changing from diffuse aurora, that is, a bland, perhaps not visible indication of the constant auroral oval to discrete aurora, when the boring band of light becomes a feature filled and dramatic display of color and shape that varies in brightness from very dim to something you can read by. We are, of course, after the discrete aurora, preferably the kind we can read by. And warmth, we are after warmth as well. Over the years there have been many explanations for the lights, but the basic mechanism is as follows: oxygen and nitrogen atoms in the earth’s upper atmosphere are involved in collisions with charged particles that are traveling along the magnetic field lines of the earth. These collisions are of either an ionization or excitation type. In other words, the atoms collide with the high energy electrons—or, in some cases, charged variants of those very same atoms—and as they return to their ground state or the state in which they existed before being bothered by an energetic particle, light is emitted. This light, then, is what we see when we see the lights in the sky. Depending on the atom impacted, a different color light is seen. Nitrogen, for example, will emit blue or red photons, blue if it is gaining an electron after an impact, red if it is returning to the ground state after an excitation event. Oxygen is responsible for green and reddish-brown. Further, oxygen exhibits a bit of strangeness in that it can take nearly a second to emit the green light before it returns to a ground state and several minutes to emit the red light as collisions with other atoms and molecules prevent their rapid return to the ground state. For further technical reasons that involve the abundance of oxygen atoms in the upper regions of the atmosphere, the color red is rare, but not impossible. Tiny things smash into slightly larger things and we see light and stuff. There is one important thing to keep in mind here—we are, after all, dealing with light. The same kind of light that we might see at sunrise, sunset, or any other time there is light around. As such, as the intensity of the aurora changes, we need to keep on top of our camera settings so as to not end up with a bunch of completely black or completely overexposed images. If you haven’t taken the time to learn the basic manual functions of your camera, now is the time to do so—Auto mode is more likely than not going to fail miserably in these conditions and you can pretty much toss auto-focus out the window as well. And that hand held stuff you like to do? Fuggedaboutit. ISO, shutter speed, aperture…if you want to end up with anything remotely resembling a picture of the aurora in the night time sky, you will need to get comfortable with those settings, what they mean, and how to change them rapidly. The only shortcut I know of is to let someone else take the picture! And you know what? You got this. I guarantee it. It may involve leaving some photographic comfort zones, but if you want to go for pictures of aurora in the night sky, now’s the time to step up to the plate and hit one out of the park. All the fancy camera knowledge, gear, and equipment in the world is meaningless if you are beneath a sky devoid of auroral activity. Just like it’s hard to take a sunset photo at midnight, it’s nearly impossible to capture images of the aurora when they aren’t around. I know, I know, these are boring and trivial details that we all couldn’t care less about but it does beg the question—how in the Sam Hill do we know when a geomagnetic storm is happening and, further, how do we know we would even be able to see them if a storm was happening? Excellent questions and I wish I had some excellent answers but all I have are good answers. First things first. We happen to be in the midst of a solar cycle, that is, the once per eleven years or so when the sun gets all crazy and stuff on the surface with twisting magnetic field lines and stronger than usual ejections of particles that, surprisingly, lead to some rather amazing displays of the aurora, provided that they are earth directed. In other words, a gigantic solar flare that blasts off the sun on the side opposite the earth will have absolutely no impact on us. It may hit Jupiter or something, causing some auroral displays there, but we will be missed. So…there is about eleventy gazillion dollars’ worth of equipment around the planet and in space that monitors the sun on a constant basis and when something happens on the sun, we know about it rather quickly. Be it a private astronomer taking photographs of our star or a fancy satellite in space measuring the properties of the solar wind, for example, the sun is a well understood entity. Well, much of it is well understood, much more of it remains a grand mystery. But for us, the aurora chasers, only one thing is important—how big was the CME (coronal mass ejection) from the sun, and when will it get here? Here, you can proceed in two fashions; one, do absolutely nothing and hope your buddy tells you when the lights are out so you can leave the comfort of your home and head to a sky full of aurora, or, two, you can get your hands dirty and have a pretty good idea all by yourself of a good time to leave the couch and have a go at getting some aurora images. First, the Geophysical Institute Aurora Page. There is a lot of information there and I am not going to go into it as, for the most part, it’s self-explanatory. Take a look around the page, click on various links, look at the diagrams, and get familiar with it and if you have questions about it there are about seventy five trillion forums, Facebook groups, etc. available online that go into rather extensive detail about what you might come across on this page. I suggest you start at the FAQ on the page itself. Second, I will go to this page as well, Soft Serve News. Again, in addition to providing predictions of when and if the lights might be out, and where they might be visible, the page is full of interesting and important information regarding the aurora. There are, no doubt, countless others out there and there are even pages you can pay a small fee to and they will send you alerts via various electronic means such as email or text message. I do not mean for my brevity here to be misconstrued as having no patience for those lazy folks out there but as I mentioned earlier if you want to get pictures of the aurora—or even see them—a modicum of effort is required on your part. As a lazy person myself, I am well aware of the pitfalls of missing out on all the fun due to inaction on my part. A final word—even with all of this fancy information at our fingertips and a CME headed our way as may be indicated by all of this fancy information, some hard facts remain. The lights might not show up. Or they might show up a day early. Or they might be a weak show that is barely visible. The factors involved in why this is so are numerous and certainly beyond the scope of this article, but one thing is for sure—if you are not prepared to stand outside for hours on end in the frigid cold of a middle of winter night then the aurora chase may not be for you. Believe me, I often decide that the chase is not for me! It’s sort of like chasing that perfect sunset, you never quite catch it. The aurora is like that, but magnitudes more complex because the sun sets every day, visible aurora in your area may happen a handful of times a year, if at all. You’ve checked the web pages, corroborated with other sources, talked with your buddies and are all but certain that tonight is the night. The batteries are charged, the tripod is working and with you, your favorite lens is on the camera, your dressed for the weather and have your cellphone with you in case of a grizzly bear attack or some other emergency…what next? First, drive to the location where you want to take pictures. 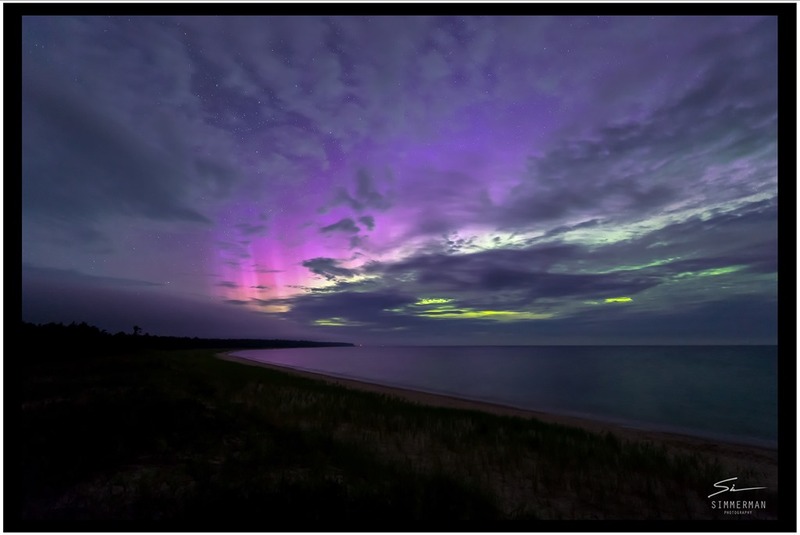 In my area, Lake Michigan is a popular spot as displays of the aurora leave beautiful reflections on the surface of the water, an interesting compositional element. You may prefer the solitude of a wooded area or secluded stream and this is fine just make sure that your spot is not impossible to navigate and, more importantly, is not so obstructed as to block out the lights! Here is a quick tip for determining if the lights are out as they are often not visible to the naked eye. Set the ISO of your camera to around 6400 (or as high as it goes if it will not go to 6400), select a shutter speed of around 10-15 seconds, manually focus the lens to infinity—it’s that sideways ‘8’ on the lens—point the camera in a general northern direction and take a picture. See any green or other colors? If you do that probably means the lights are out! I’ll do this before I ever get out of the car and if I’m not seeing anything on the viewfinder I may remain in the friendly confines of my Subaru, checking the aurora web pages on my cellphone, repeating the quick and dirty check with the camera. But we didn’t leave to get skunked, so, the lights are out! Now is the time to get setup for our shots. It’s good to have a flashlight handy, preferably one with a red filter over the light so as to not destroy your night vision. I use the light to set the focus to infinity, after that I rarely use it until it is time to navigate treacherous terrain or ward off evil spirits. If you can’t change you camera settings in pitch black conditions, learn how. As mentioned earlier, the intensity of the lights can change in an extremely short amount of time and those settings that were getting you perfect images a couple of seconds ago now might be generating useless and overexposed images or useless and underexposed images. ISO-1600. I start here, but, depending on light intensity or even a certain effect I may be going for, this can be as low as 640 or as high as 25,600. If you’re just getting started, keep it simple, use and ISO that gives you satisfactory results for the conditions you find yourself in. Shutter release—I have a wireless unit that I like to use but for the most part I don’t use it. Many cameras can be setup to have a slight delay after pressing the release button before the shutter trips. Lens focused to infinity—careful here, this may very well be a temperature dependent adjustment and what works in the summer might not work in the winter. Take a shot, zoom in with the LCD controls and check sharpness. Adjust as needed. Aperture-f\2.8. Lens dependent, but the larger the aperture, the more light will get in and you can use a shorter exposure time and\or lower ISO which helps to reduce noise in the final image. I prefer to use an ultra-wide angle lens but you can use any lens you want. But as the focal length of the lens increases, your field of view decreases, so, use the widest lens you can get your hands on to get a large patch of sky in your images. Tripod. Don’t question it, just do it. Tripod. Use one. Period. If I see you out there without a tripod I will beat you with mine! Of course, I would never do that, but you get the point. I hope. LCD brightness—low. If set too brightly, the LCD can fool you into thinking you got a great shot but when you get home to look you can barely see anything. I do this all the time and kick myself for it all the time. Finally I gave up and now use the Histogram. Learn how to use the histogram. It’s unlikely you’ll be getting a nice and smooth histogram all along the exposure region, but you do want more than a single spike at the far left. Read about it, learn about it, the histogram is your friend! And…there you go. That is what I do and that is just to get started. Once you find a spot and get setup, you may find yourself under some rather dim or boring lights, perhaps a simple green band along the horizon, for example. Be vigilant, be patient. If a geomagnetic storm is on the way it is most likely going to follow its rules, not yours. That boring green band might turn into a wall of light and color in the blink of an eye, I’ve seen it more times than I can count. I have also nearly frozen solid as I waited, for hours, to see absolutely nothing. When all is said and done it boils down to a race between your tolerance for boredom—or frigid cold—and your ability to remain beneath the stars. The ‘show’ might be as short as a few minutes or as long as several hours, you simply don’t know. It can be extremely frustrating. It can also be extremely rewarding, ethereal, spiritual, an experience of a lifetime that is more than worth some temporary discomfort. I hope that I have given a decent overview of the basics of aurora photography here, and I apologize in advance for the brevity and skimming over. Please do not hesitate to contact me with any questions you may have and I will be more than happy to help! Numerous Facebook groups and pages dedicated to the aurora and other extra-terrestrial phenomena.